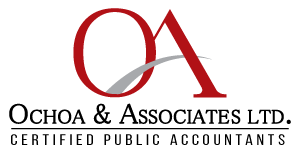 Financial Planning – Ochoa & Associates LTD.
Let's start with creating a plan that minimizes your debt, increases your savings, and creates a portfolio that meets your needs. We can help you with tax problems, rental property income, and every other need you may have. Expect superior service from each member of our team. With our Financial Planner, you'll get one-on-one help and support to make your financial goals a reality. When it comes to creating a financial plan that fits your goals, from retirement to vacations you need a team you can trust. We are a full service bilingual (Spanish) certified public accountant firm servicing small business client’s taxes, accountants, personal taxes, IRS audits, Insurance Audits, and small business startup consultants. Find us in our office in Melrose Park or Aurora. We service all of Chicagoloand and surrounding suburbs.